The next day we decided to be a little more adventurous and take the MRT to some temples further away from our hotel. The further we got away from the hotel and the area of Ximending, the less populated it became. 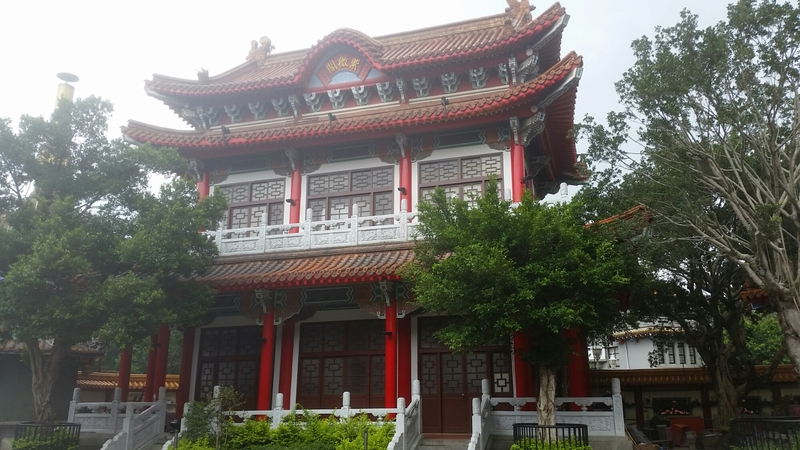 The walk to the Taipei Confucius Temple was through a local neighborhood. It had a gritty yet calming feel to it. It had little shops dotted along the sidewalks, elderly people sitting outside chatting, and mom’s walking with their kids to who knows where. 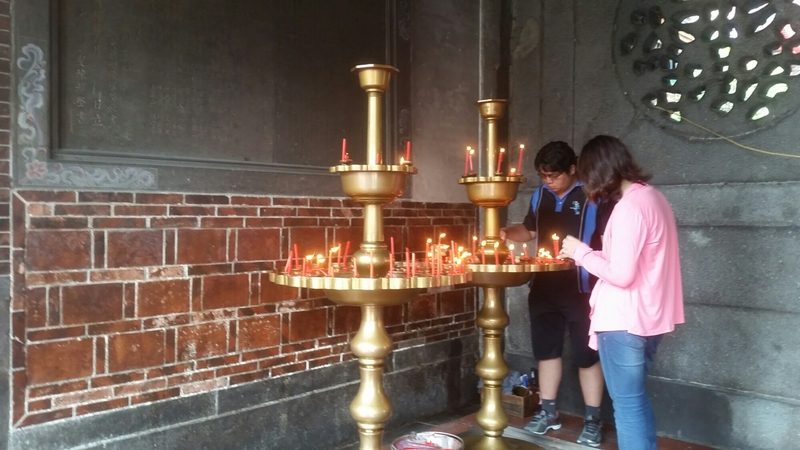 It was definitely surprising that we didn’t see too many tourists even though there were temples nearby. But as you can tell from the pictures below, we were able to enjoy it more because we were some of the only people in the temple that day. TIP: Take the RED line on the MRT. Get off at the Yuanshan exit, and then it’s just a walk down the main road. The temple will be on your right hand side. 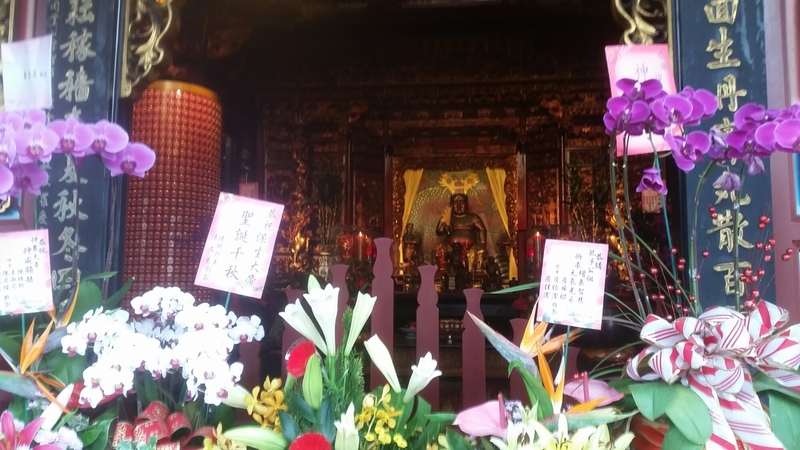 TIP: Visit one of the other temples further away from the tourist areas of Taipei. 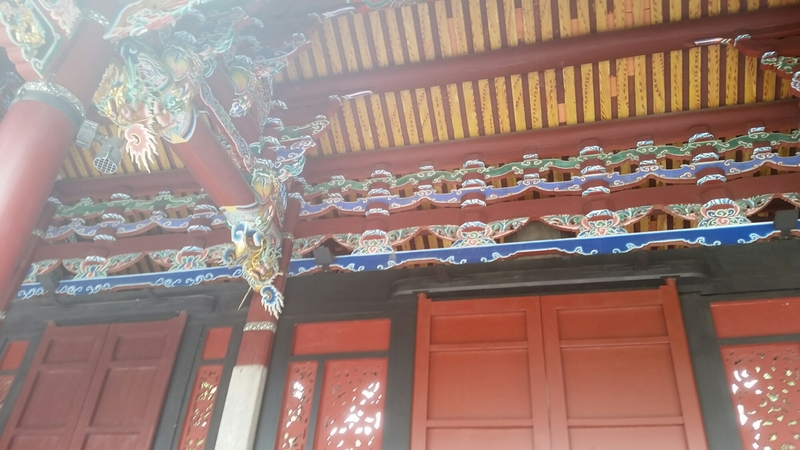 It’s less crowded and allows you time to really wander around and appreciate the details. 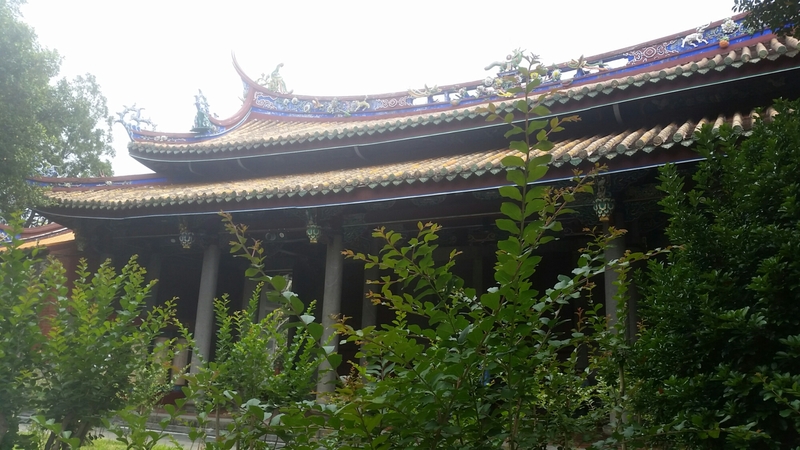 The Confucius Temple was my favorites of this trip. Some of the differences I noticed here were the use of the brighter blue and red colors. It really popped against the detailed architecture. 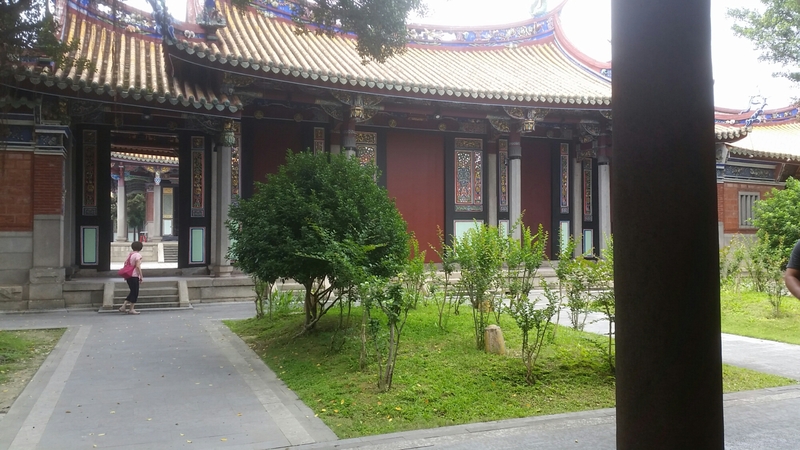 This temple also included some lush areas and gardens to enjoy, while at places like Longshan there werent. 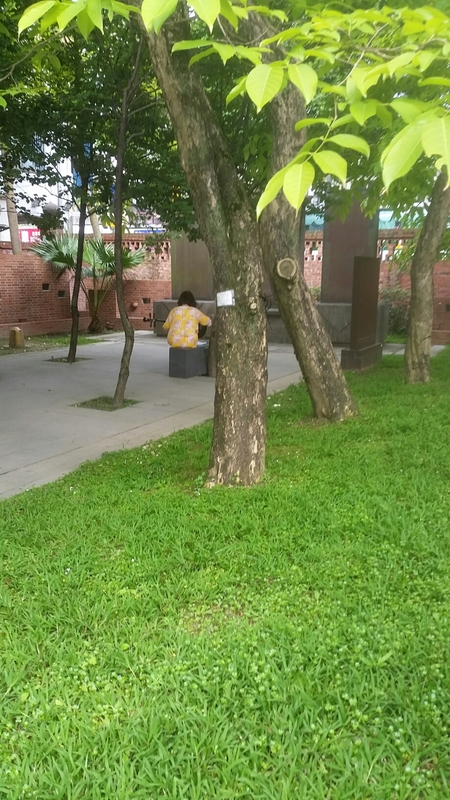 Eventually making my way around the entire temple, I stumbled into a side garden, and caught this lady beautifully playing what I assumed was a traditional instrument of Taipei. 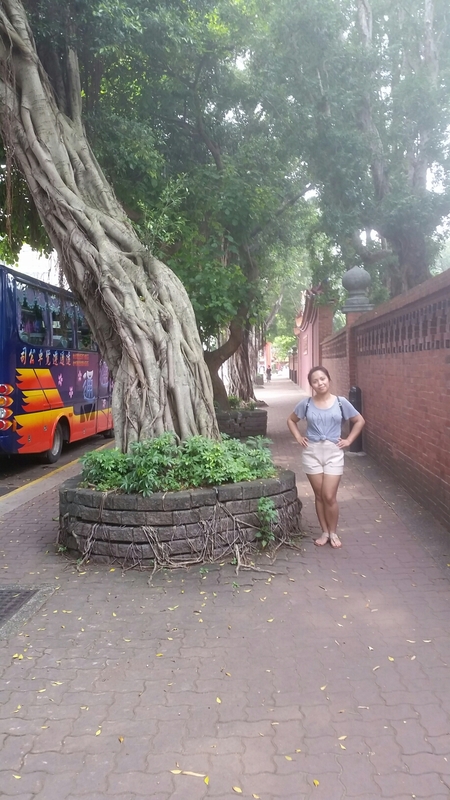 She was singing in this lush green garden that a cool breeze flowing though the area. For a few moments only the sounds of her soothing guitar like instrument and voice were filling the air. Its one of those moments in travel you cannot create; but once when you stumble across it, then it somehow becomes one of the best memories of the trip. TIP: A trip here is about half a day. 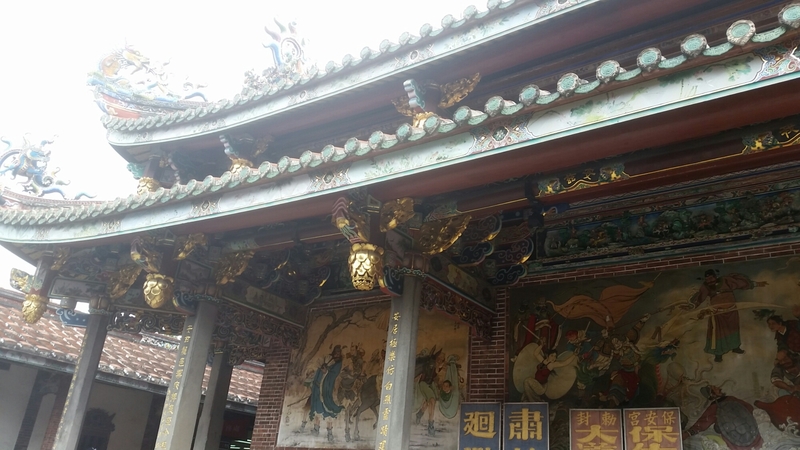 You can still head off and enjoy other parts of Taipei!! Seriously just a hop skip and jump away (a.k.a. 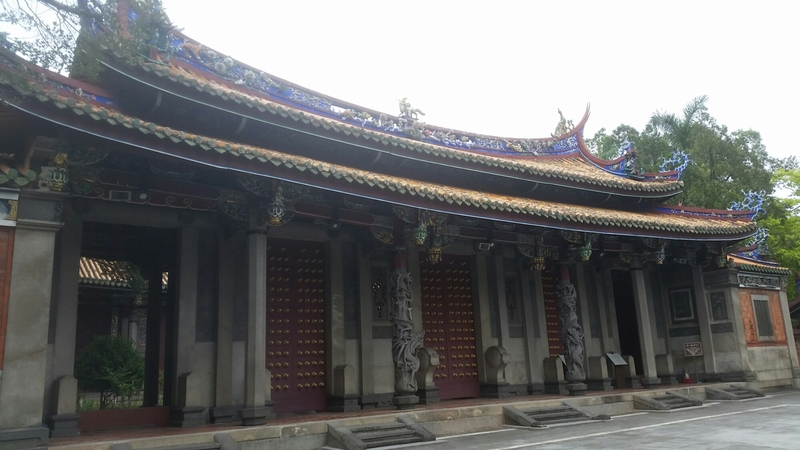 across the street) from the Confucius Temple is Poan Temple. Another beautiful architectural masterpiece to marvel at. 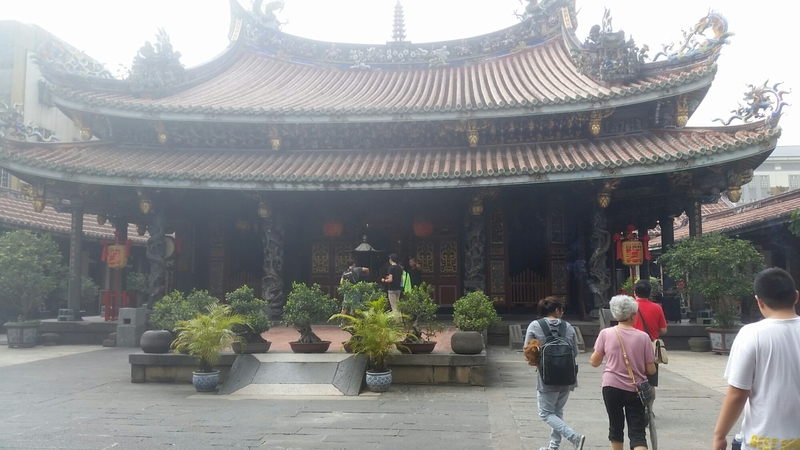 While the Confucius Temple was different in color and overall esthetic, the Poan Temple resembled Longshan Temple that we visited the day prior. Just without the hoards of people though. 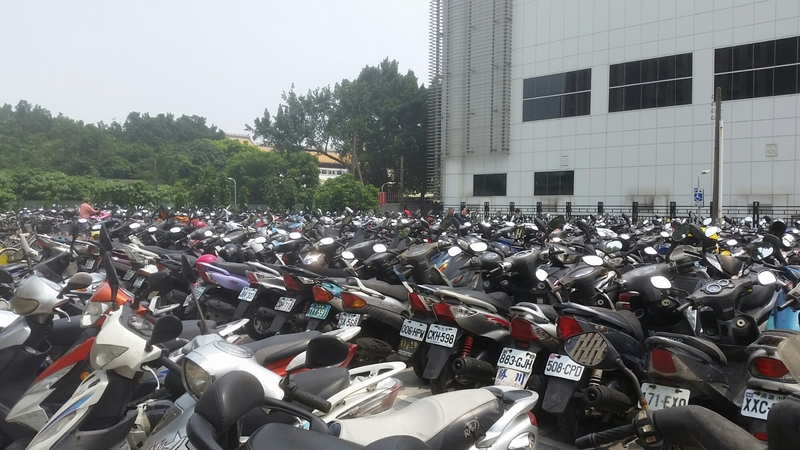 Well last but not least, below is a picture of a parking lot we saw along the way to the temples. I just had to take a picture for some reason!! As soon as you drive or walk the streets of Taipei, you’ll soon realize that the best mode of transportation here is the motorbike. Everyone seems to be on one; this lot just seemed to just emphasize that to me. 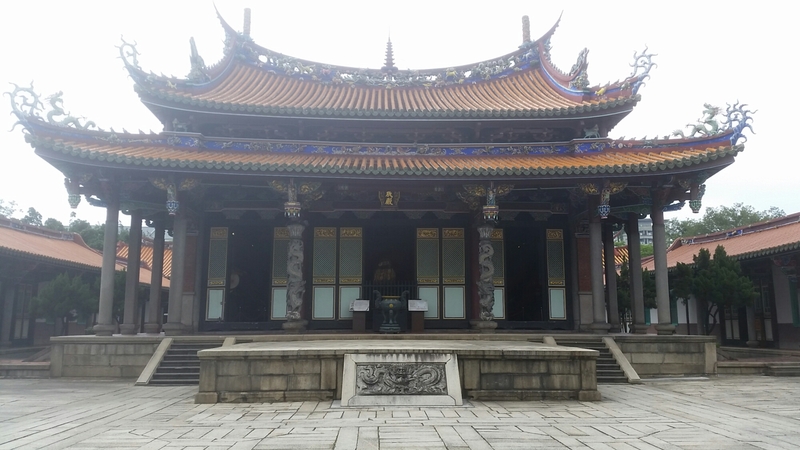 I loved exploring Taipei on my second day with you guys, so I hope to see you in the next post!